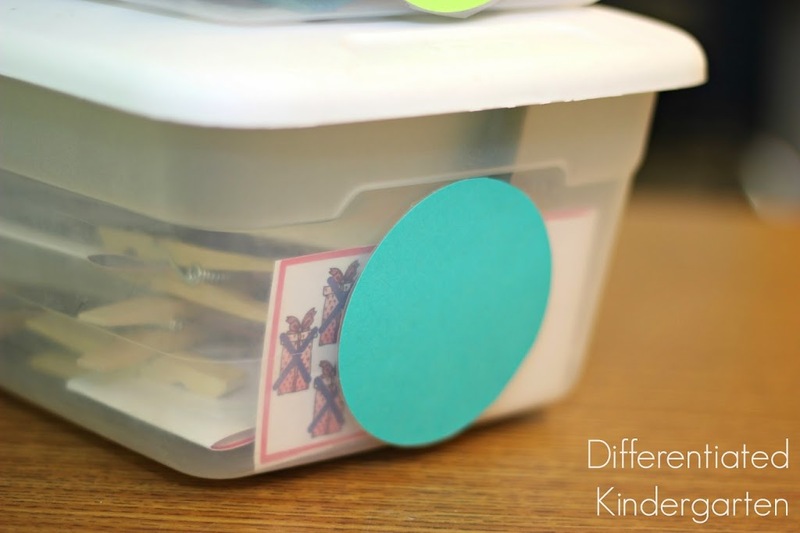 You’ve seen my self-correcting cards here before, but I’ve been receiving a ton of questions asking how I organize these cards in my classroom to keep them easily accessible and differentiated with kinder kids in mind. 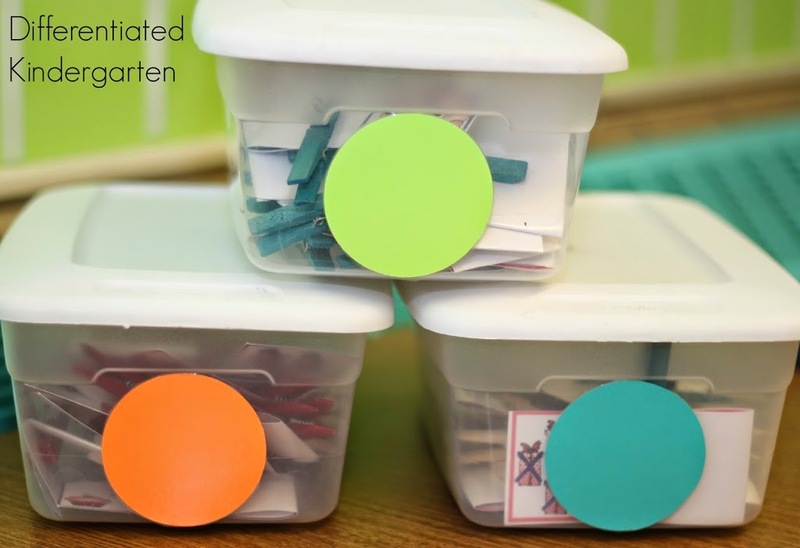 So, with that in mind, I thought I would give everyone a quick peek at some of the ways I have found to keep things together and organized in my own class. 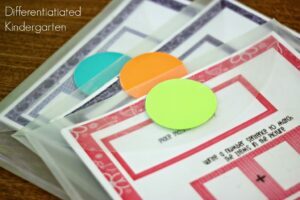 First of all, if you aren’t familiar with ‘self-correcting cards,’ these are the unique cards that you can find in most of my Math and Word Work Stations Galore packs, Word Family Galore packs, Bead-It and all of my ‘I Can Do It Myself’ packs. I might be a little obsessed with them. 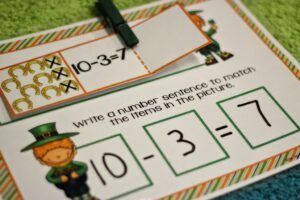 They are a simple but effective design that I created and have used for years to allow my students the ability to work independently with all kinds of various math and reading skills. Then they simply open to card to see if they did it correctly. You can see that happen in the video below. and opens the card to see if their answer is correct. Add a few nonsense words into the mix for a different skill set.
. . . or if it’s nonsense. 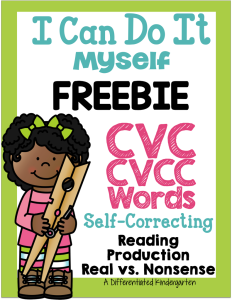 This video illustrates how students can practice reading CVC and nonsense words at the same time. 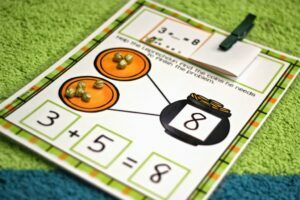 In math we used these cards to practice counting, ten frames production . . .
. . . place value and, currently, some of my students are working on addition and others are working on subtraction while still others work on both skills at the same time. 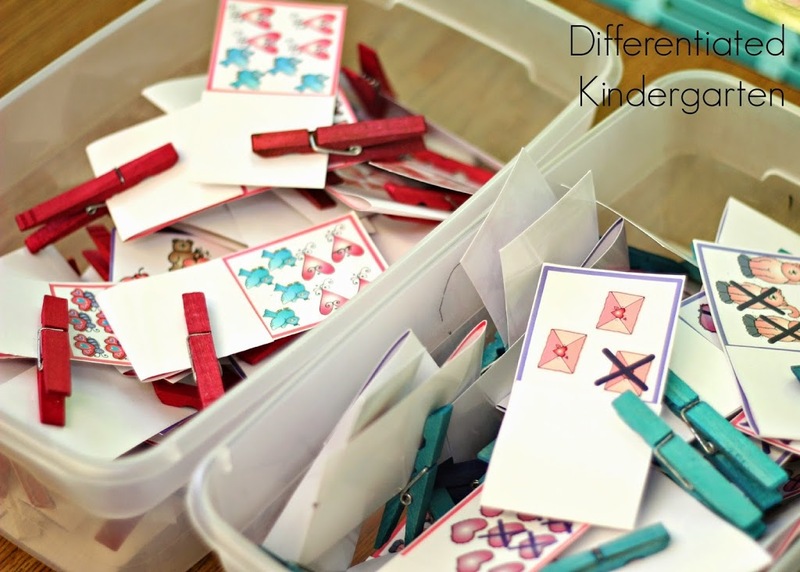 But organizing all these cards and materials and finding ways to differentiate them without mixing cards together is a challenge if you don’t have the experience of using these in the class like I have had. It took a little trial and error, and it wasn’t pretty in the beginning, but I now have a system and, surprisingly, it’s not difficult for my students to understand. And if I don’t have to keep it organized, all the better. 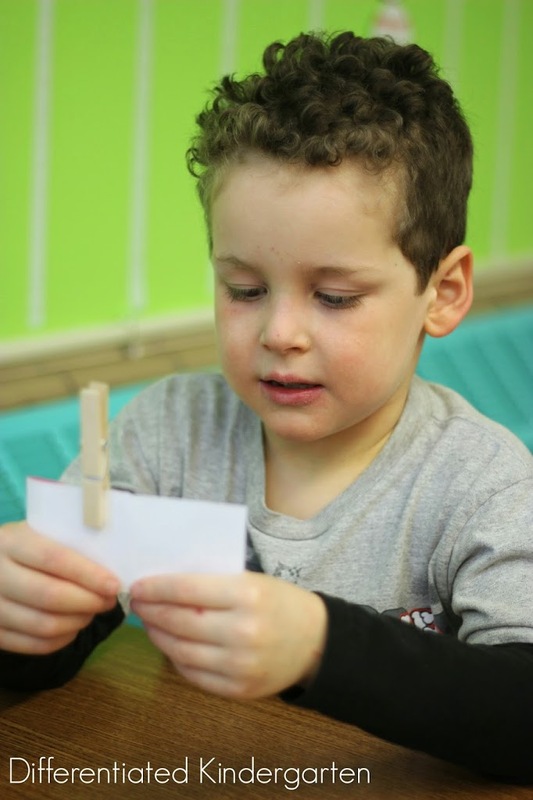 It means these materials can be used even more independently! 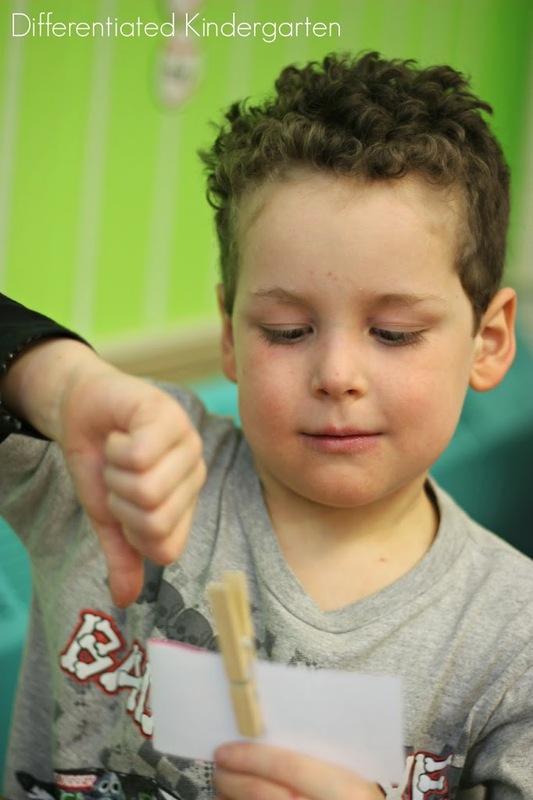 To start with, even though these activities are independent, they are not ‘one size fits all’ by any means. Which is exactly why each of these packs are differentiated. I generally have different colored borders for different tiers which helps organize me. 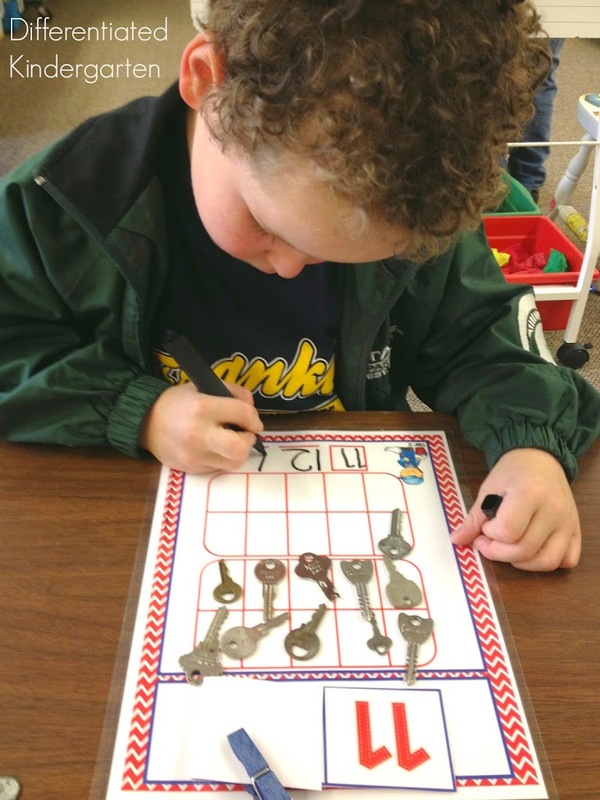 I love that I can have one student working on CVC words while a student next to them can be working on CVCC words, or blends or digraphs. They are all happy to be working independently on whichever skill fits them. 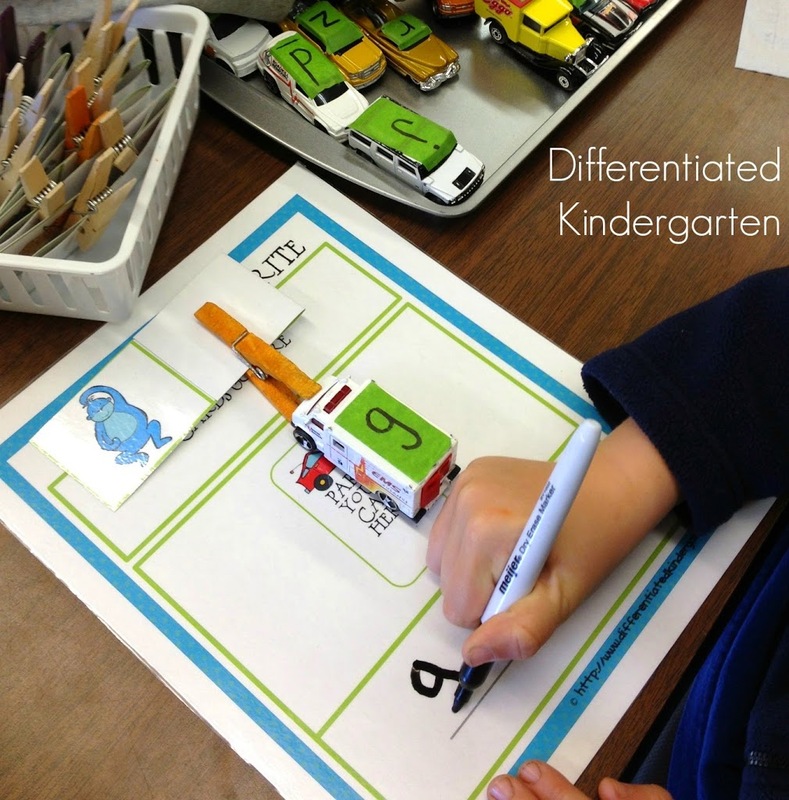 But how do you organize that differentiating and have it make sense to your students? Here’s an example of what I do in math. 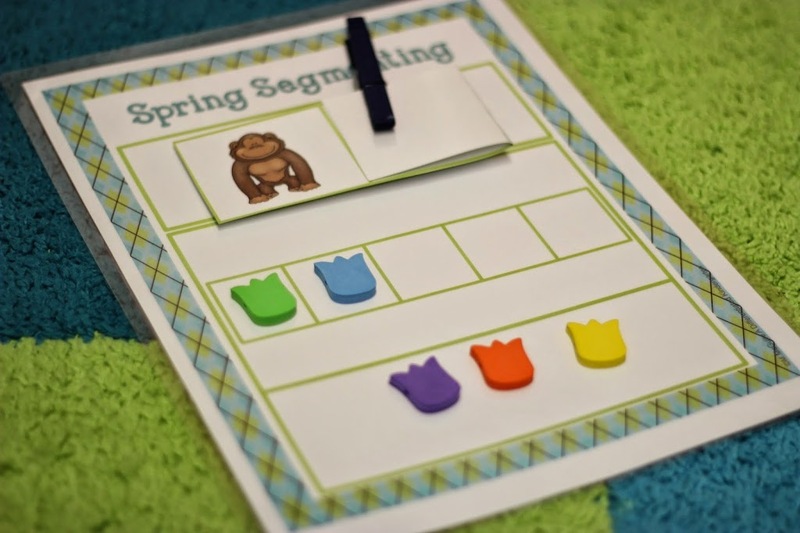 In math stations students each have their own color coded name tag (these are laminated so that colors change, and I seldom keep all one group of one color together). So one student may have a green or blue tag and another has an orange name tag. It means nothing to them and everything to me. This is how I tier my activities and students for math, depending upon whatever skill we are working on this week. The name tag color corresponds to the activities. Sometimes the playing mats are differentiated as these are. So, I place the differentiated mats (some are for addition or subtraction and then some for both) in color coded poly vinyls. Students with an orange name tag know they need whatever mat is in the orange labeled envelope. 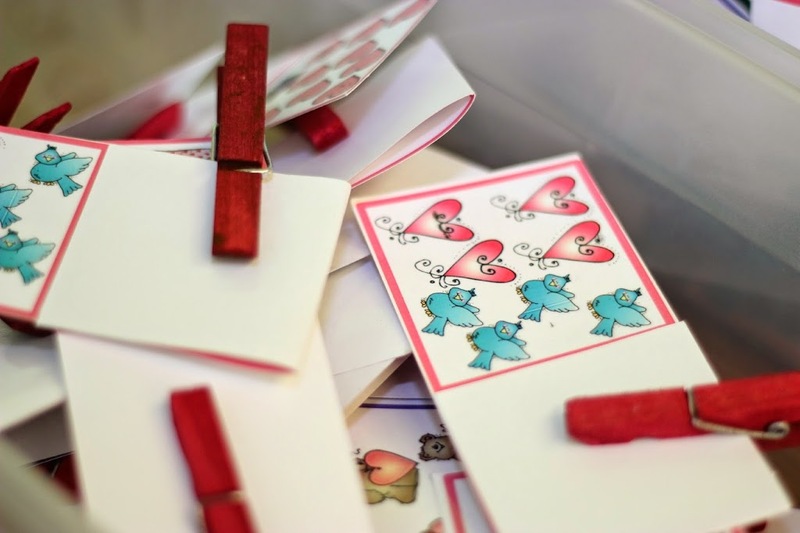 The cards fit easily and can be carried anywhere in the room. I know you’re loving my dots, but you don’t even have to use something as large and obvious as that. 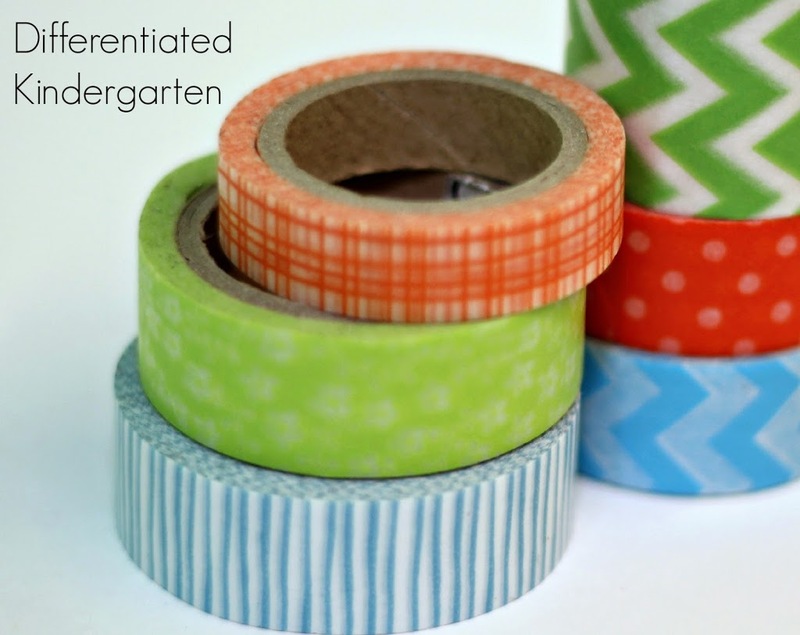 Sometimes I just use washi tape to label the different tiers. 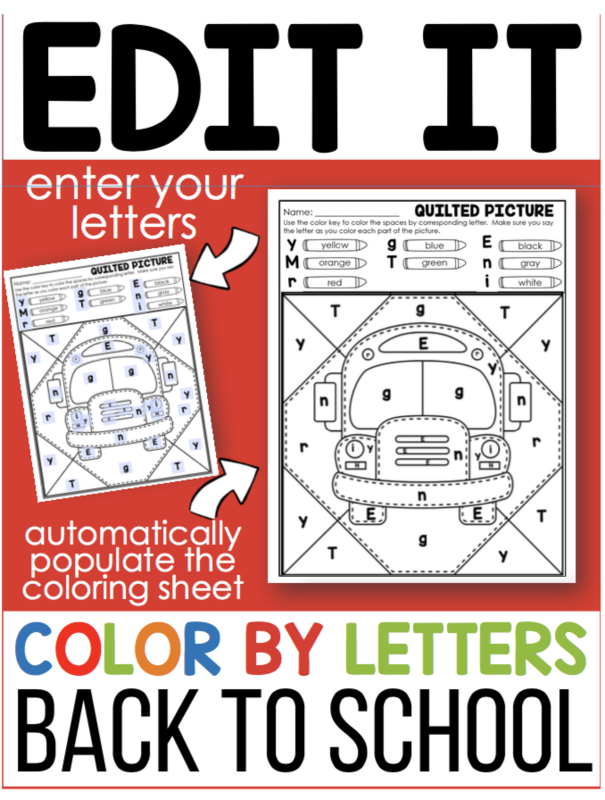 My students are in a habit of looking for and following their color for that activity. 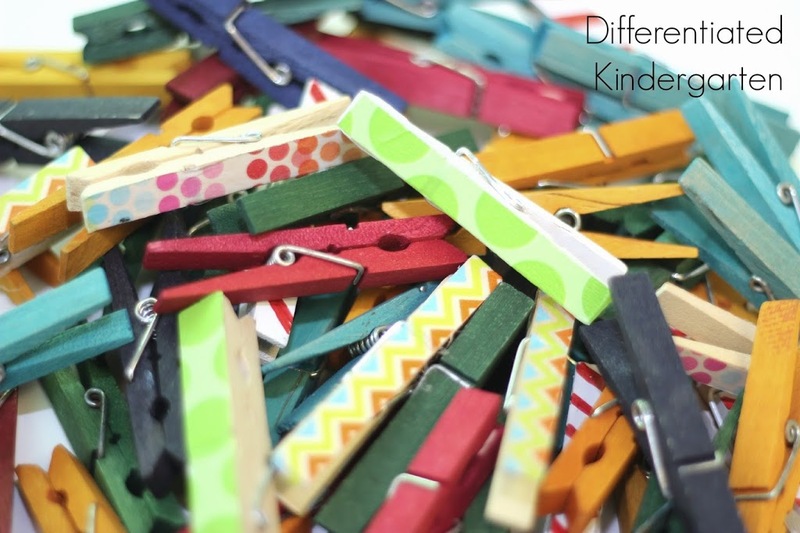 Sometimes, I really get ambitious and I code my differentiated tiers with colored clothes pins. I know, I know . . . you probably think I’m crazy. But I may just have a thing for clothes pins. I dye them and decorate them and paint them . . . I may need an intervention. But the good news it . 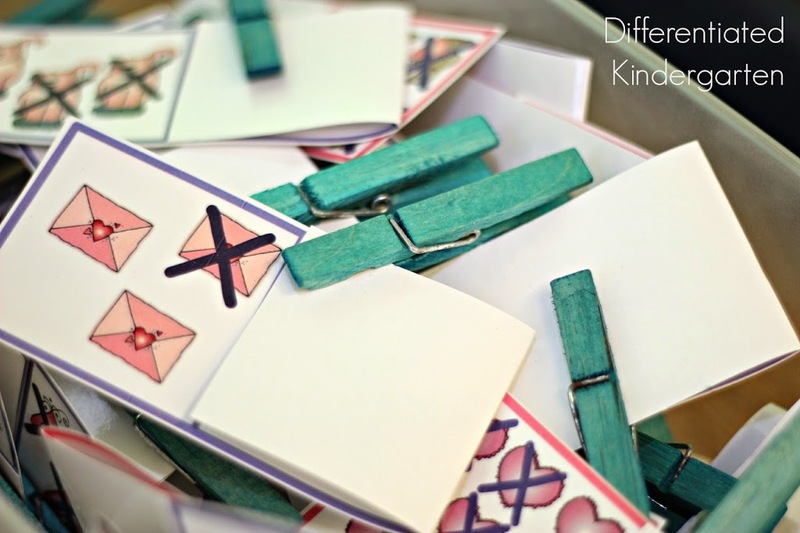 . . you don’t have to use color coded clothes pins. The plain ones work just fine. And you don’t have to use the plastic shoe containers either. Sometimes, I grab a festive, fun container. 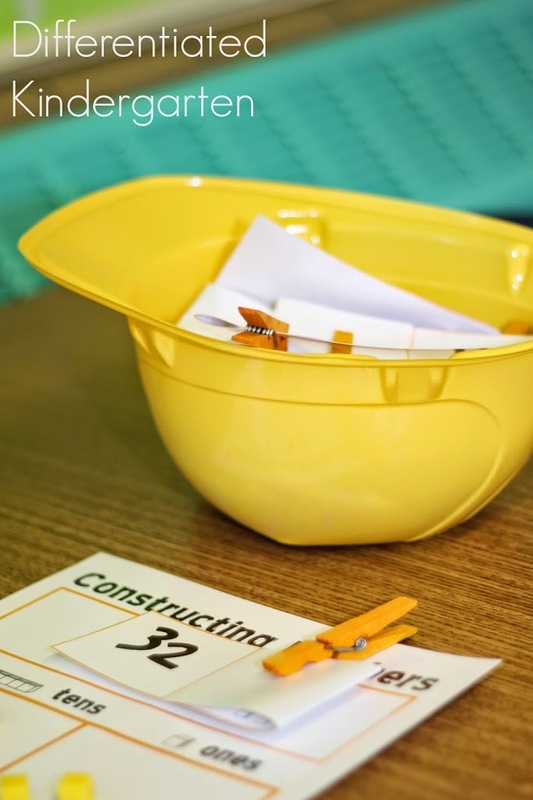 When my students are ‘constructing numbers’ I get a little hard hat from the dollar store and use that as my card holder. Of course I have extras for them to wear while their working, too. If you want to hook your students, it doesn’t hurt to go a little bit above and beyond to make it fun and engaging. 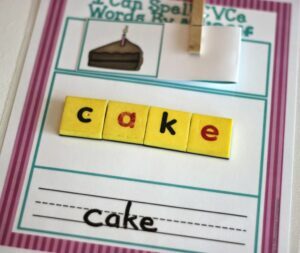 And speaking of fun and engaging, you shouldn’t feel like you have to use just magnetic letters for building words either. Mix it up a little. 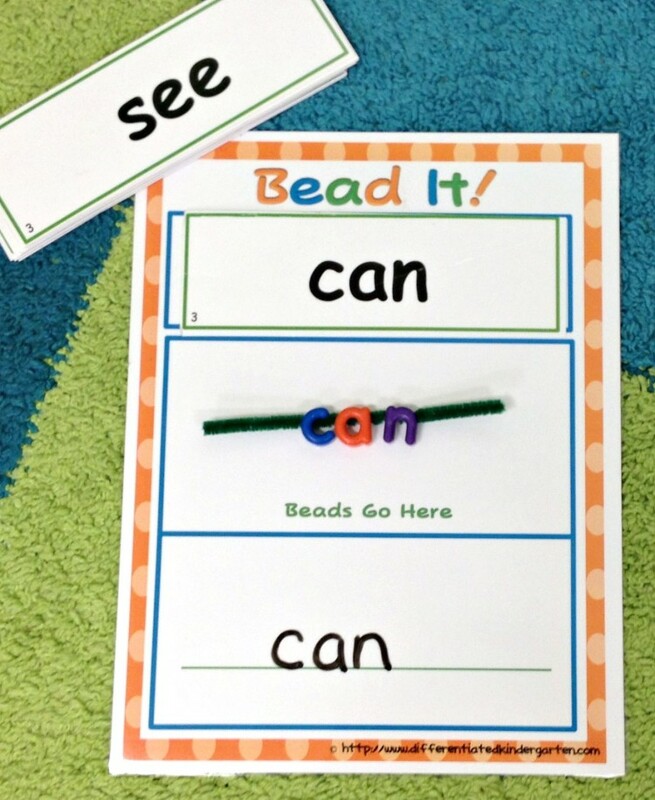 Let them use letter beads, plastics letter caps, rocks with letters, puzzle magnets . . . whatever it is that interest them. When we do segmenting self-correcting, I use everything from buttons, to cars, to festive thematic erasers. 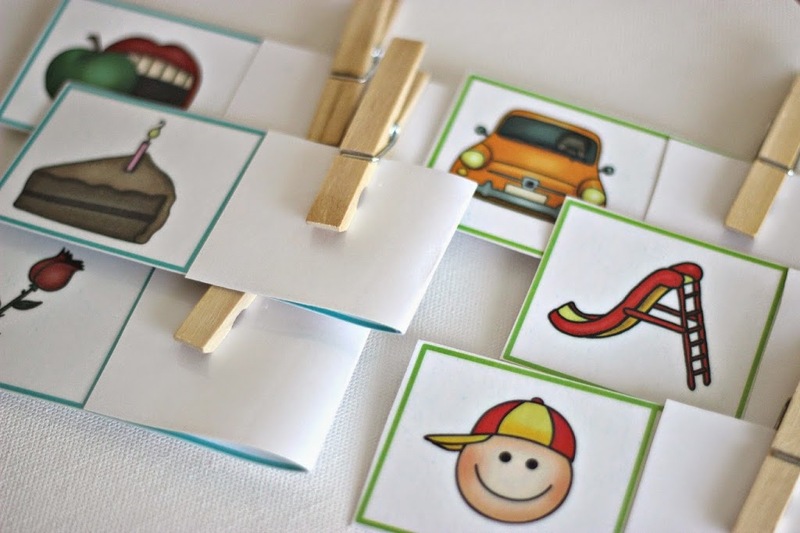 One of my most coveted activities with these cards is the stations where we use cars to practice initial sounds and build words. Hey, I have 19 boys and 6 girls. I needed something to get their motors running. Both boys and girls love it. 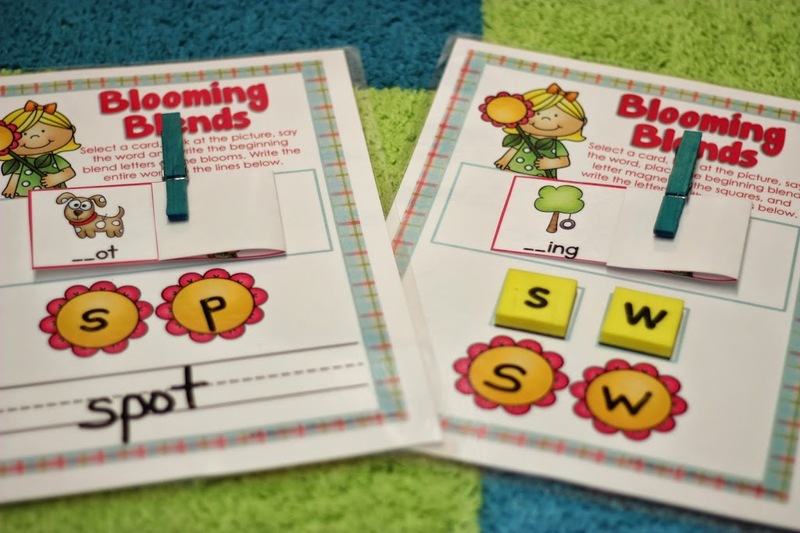 Of course, if your kiddos are beyond letter/sounds and looking for sight word work, we might have something for that too. Don’t feel like you have to use just beads . 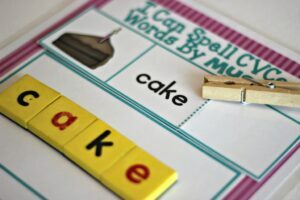 . . magnets, wikki sticks and any kind of letter manipulatives work with these cards and mats. Now just incase you’ve never had the opportunity to try these self-correcting cards out, I didn’t want you to leave empty-handed. So I put together a little FREEBIE that you can use to get your own class started. 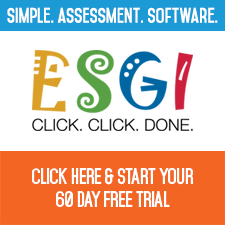 Just click on the picture below or HERE to see all these activities and grab your freebie. Of course, if you’re interested in any of the activities in this post, simply click on the pictures for the links or click HERE to find them in my store. 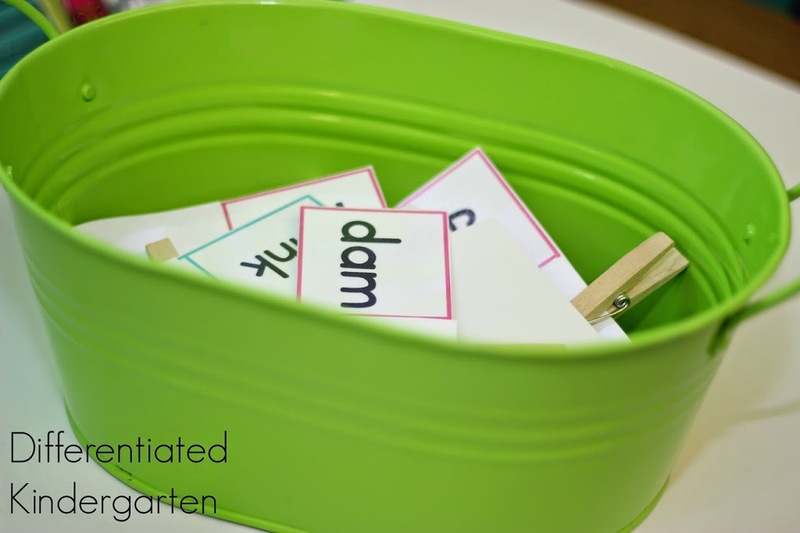 I hope this helps you get yourself organized and started differentiating self-correcting activities. I can’t wait to hear what you think. 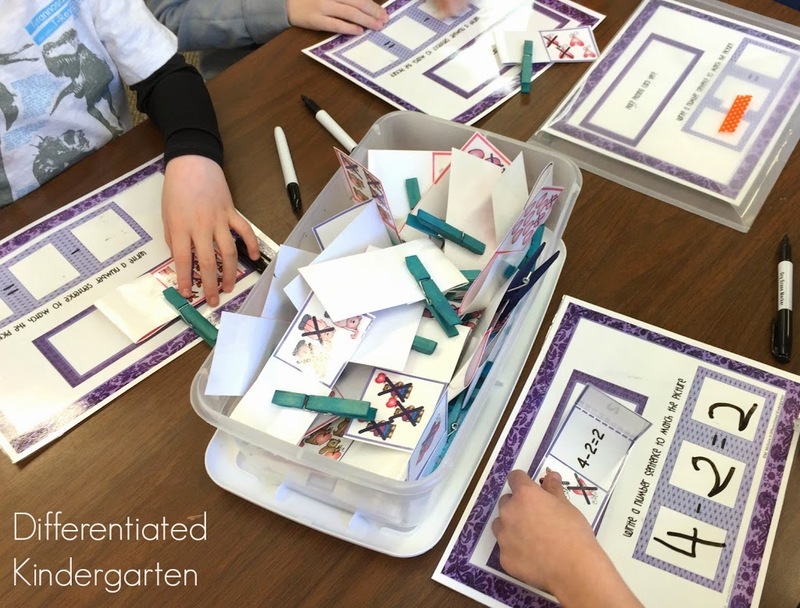 I’m so glad to hear from you Lauren, and that your kiddos like Constructing Numbers! I love this idea and the independence it gives. It’s very creative. My concern is how do I keep them from just opening the card to get the answer first? Oh that’s cheating . 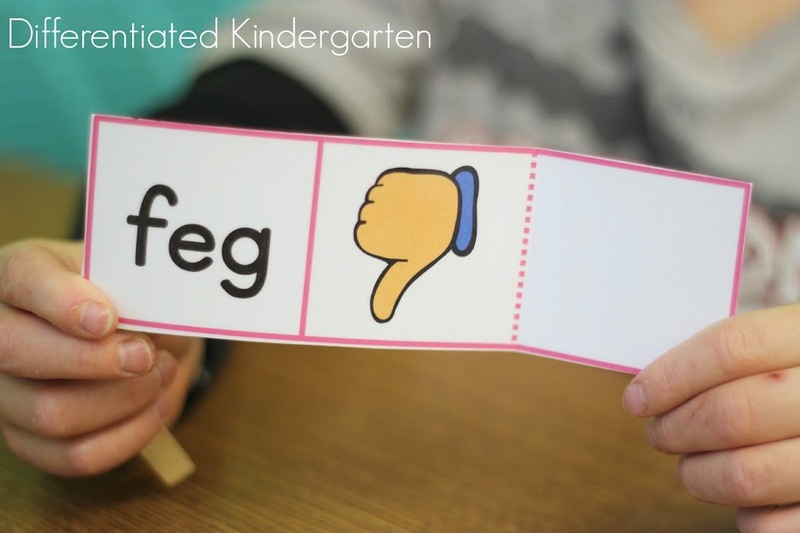 . . we don’t cheat in kindergarten. We have that discussion EARLY in the year. It’s all a matter of setting the expectations. They learn pretty quick. You rock! You have helped me so much with my new k/1 assignment. So many levels! 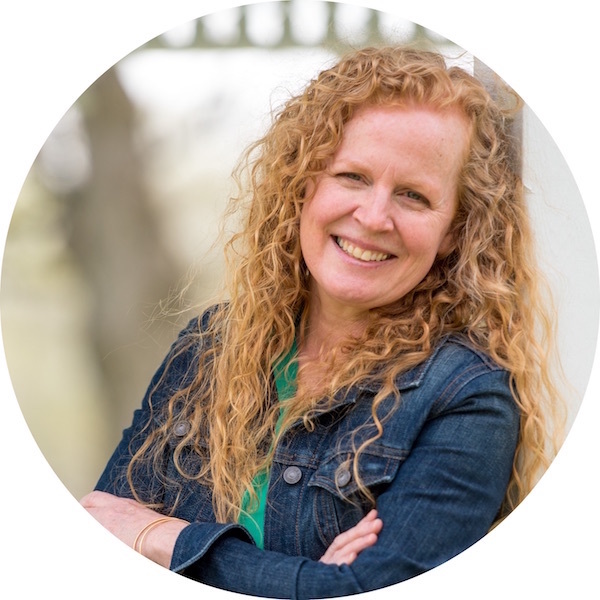 But you have helped me with your advice and materials….thank you for all you do! Thank you so much for sharing that with me Maureen. It means so much to know we can help each other as teachers. You are a kick! 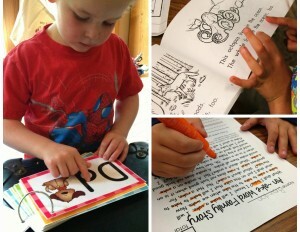 Love to have independent K’s too. Your creative and innovative style is inspiring. I wanna be in your class. I have had the Constrcting numbers set for quite a while now. My kids do love it and I will definitely add hard hats…never thought they’d want to wear them. What I am missing is the update Student instructions. Do you suppose I can get that piece from you? All you need to do is redownload them. They were updated along time ago. Let me know if you have any issues.